PA Advocacy is a stakeholder and employee research specialist providing clients with independent feedback on views of their operations and communications. Robert has been involved in social and market research for 18 years, 15 of these at Ipsos MORI. 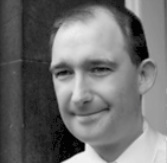 He has managed stakeholder and employee research for many organisations including BP, Royal Bank of Scotland, Lloyds Banking Group, Diageo Scotland, BP, Coca-Cola Enterprises, Glasgow Life, Scottish Enterprise and Highlands and Islands Enterprise. These included depth interviews with employees, UK Captains of Industry, academics, journalists, politicians, civil servants and other public sector leaders over the last decade. Robert has a MA (Hons) from Glasgow University. He is an Associate Member and former Secretary of the Scotland branch of the Market Research Society (MRS). He is also a member of the Scottish Council for Development and Industry (SCDI) and the Association of Scottish Public Affairs (ASPA).